This issue started out a little slow for me. Once again, there were many frames of Rick moving through the world without much text. He runs out of gas and can’t manage to get more but fortunately, he finds a horse. The horse provides the exciting chance for exposition, where Rick tells the story of the day that his son is born. We learn that his wife is named Lori and that his son is named Carl (finally). 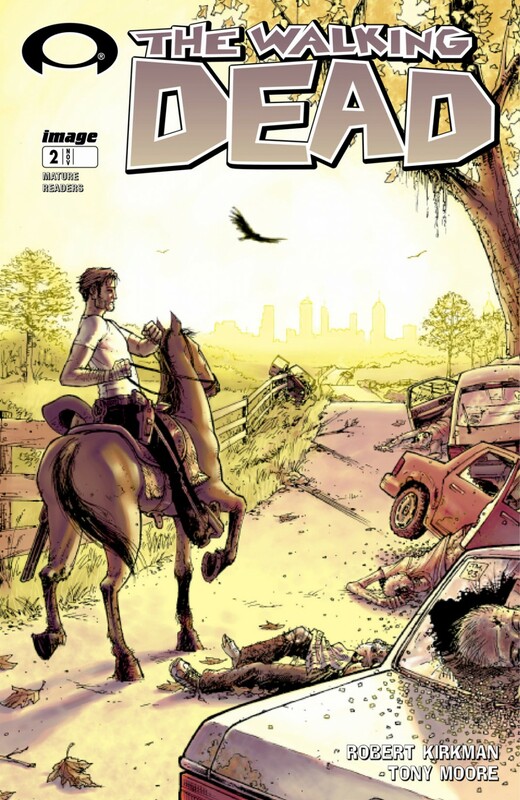 Rick makes it to Atlanta only to find out that the city is even more overrun with monsters than anywhere else that he’s been. He’s surrounded but fortunately an unknown Asian young man (Hi, Glenn!) comes to his rescue and guides him away from the zombie horde and out of the city. The young man explains to Rick that the monsters used to be people because of course the people in the zombie comic don’t actually know that they’re in a zombie comic. The young man takes Rick to the camp where he and a bunch of other people that got near Atlanta after it had already been overtaken. We can see an RV and a car in an area with long grass and some trees. 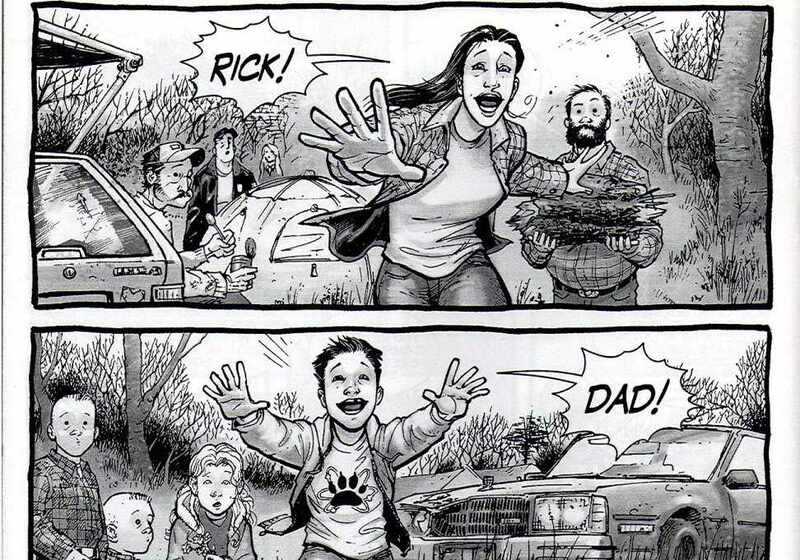 Before we know it, Rick is being happily reunited with his wife and son. We might be getting somewhere now.